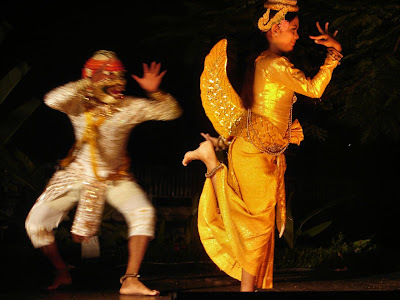 Treasures of Cambodia: The best dance performances in Siem Reap: What are you looking for? A traditional dance performance that was previously practised in the royal palaces. 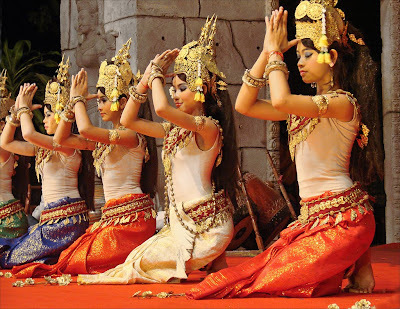 You ask: Where can I see the best Apsara dance performance in Siem Reap? I ask you: What exactly do you mean? Is it the best show for tourists? Is it the best interpretation of classical Khmer dance? Are you looking for the Royal Cambodian Ballet? Shows for tourists: There are cheap opportunities. Go to The Temple on Pub Street and enjoy free Apsara dances (from 19.30 pm till 21.30 pm) while you enjoy your drink. 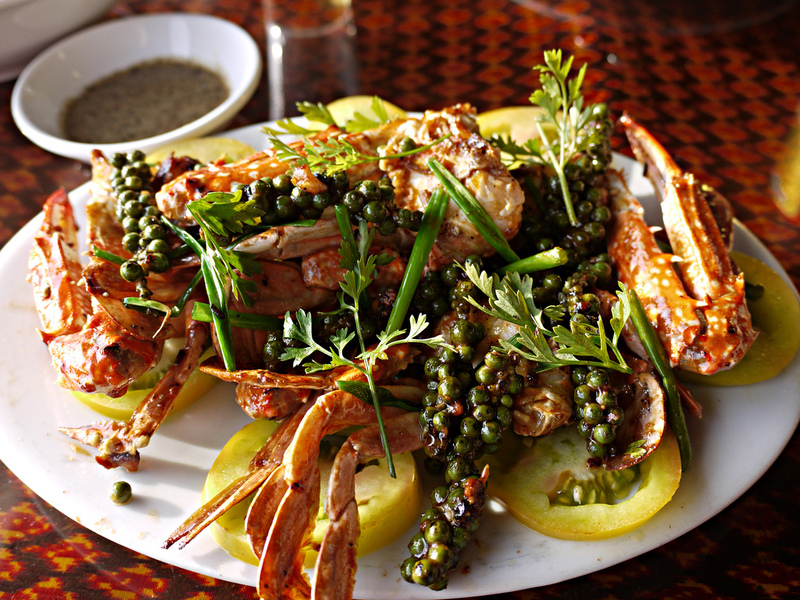 Alliance Café: 7 Makara Street, Wat Damnak area. Shadow puppetry, traditional Apsara dance andvillage dances are shown with a dinner every Saturday from 20.00 pm till 21 pm. Apsara Theatre: Traditional dance performances (Apsaras Ballet, Fishermen’s dance, Mekhala, Coconut dance and Reamker with Khmer orchestra). Apsara Theatre is "a class apart, set in a striking wooden pavilion finished in the style of a wat, which plays host to one of the more renowned troupes around town", notes lonelyplanet.com. See video by Michounet1947. Quite good reviews on tripadvisor.com. Daily from 20.00 pm till 21.30 pm during main season. Tuesday, Thursday and Saturday on low season. La Résidence d’Angkor: On Tuesdays, Thursdays and Saturdays guests have the opportunity to watch traditional Khmer Dance Performances from 20.15 pm till 21.00 pm. Raffles Grand Hotel d’Angkor: In the gardens of the hotel The Apsara Terrace restaurant is surrounded by traditional Cambodian boundary stones and wooden gates at the entrance. Here residents and guests gather to enjoy a majestic performance of classical Khmer dances and Bokator Khmer martial arts Monday, Wednesday and Friday at7.45 pm. Smile of Angkor: A big show with laser and 3D around the smile of Angkor. 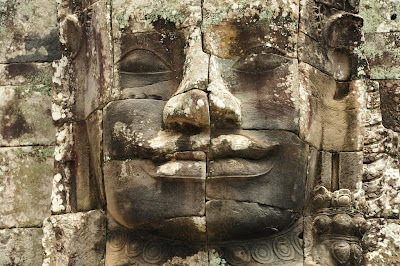 "Smile of Angkor is the first grand epic performance in Southeast Asia. From foundation to prosperity, tale to folk custom, past to present, it revives all the myths depicted in the Angkor temple reliefs, with original culture expressing all aspects of the Angkor dynasty", writes The Phnom Penh Post. At 7.15 pm. And what is the background of these shows? 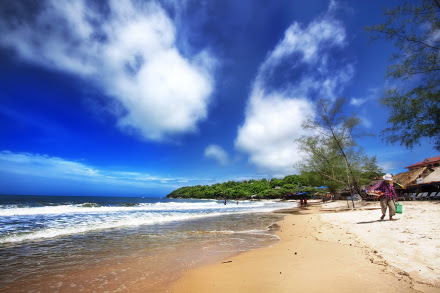 "In Cambodia the Ramayana is better known in Khmer as Reamker. A Reamker performance can go on for hours and hours, so usually only an abreviated version of it is performed", notes Angkorlad on tripadvisor.com, who has attended outdoor performances at Wat Bo. "There are four main modern genres of traditional Khmer dance", adds canbypublications.com: . Classical Dance, also known as Court or Palatine Dance (lakhon preah reach troap or lakhon luong). "Classical dance, including the famous 'Apsara dance,' has a grounded, subtle, even restrained, yet feather-light, ethereal appearance. Distinct in its ornate costuming, taut posture, arched back and feet, fingers flexed backwards, codified facial expressions, slow, close, deliberate but flowing movements, Classical dance is uniquely Khmer. 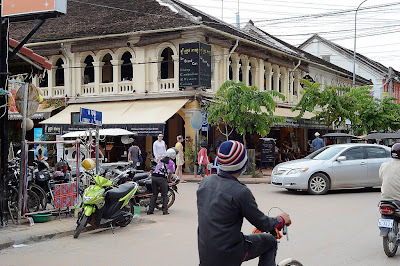 It presents themes and stories inspired primarily by the Reamker (the Cambodian version of the Ramayana) and the Age of Angkor", describes canbypublications.com.
. Folk Dance (Ceremonial and Theatrical). These dances have been revived in the 1980s and 90s due to extraordinary efforts of Princess Bopha Devi, the daughter of Norodom Sihanouk and a half-sibling of current King of Cambodia, Norodom Sihamoni. Her grandmother, Queen Sisowath Kossamak, had chosen her to become a dancer, when she was very young. She then toured the world as the principal dancer of the Royal Ballet of Cambodia. Under the brutal repression of Khmer Rouge regime (late 1970s) 90 percent of all Cambodian classical artists were killed. Those who did survive formed groups to revive their traditions. Khmer classical dance training was established also in the refugee camps in eastern Thailand. Read more on guardian.co.uk: Cambodia's art of survival and on nytimes.com: How Dances Defied Death In Cambodia. Read also this blog: Cambodia Dance with a lot of comments. Very interesting article about an amazing traditional dance. I saw the Apsara Theatre show and Smile of Angkor (the link in the article is broken, http://www.smileofangkor.info ), 2 different approaches, one traditional and one more modern. Anyway, an Apasra dance show is a must see in Siem Reap!